As Britain’s elite swimmers complete their final preparations for the World Championships, hoping to build on encouraging showings on the global stage over the past two seasons, they’ve been shown the way by their Transplant Sport counterparts who dominated at their own world championships in Malaga. The World Transplant Games are unique games which celebrate what is possible in life after transplantation. In simple terms, the games are the ‘Olympics’ for transplant recipients, with 1,350 transplant athletes from 52 countries gathered from across the globe. The Games included 13 sports, including track and field, cycling, badminton, tennis, squash and swimming. The Great Britain and Northern Ireland swimming team included 46 swimmers from across the country from all age groups and walks of life, but all having one thing in common, all of them have had life saving organ or bone marrow transplants. Over the two days of competition held at Malaga’s Inacua swimming complex, the closely-knit team amassed an outstanding 67 golds, 23 silvers and 32 bronzes. The 21st edition of the Games were the most competitive ever seen in the swimming pool, with 74 new World Records set, an incredible 30 of them by team GB & NI swimmers. Exceptional performances came from kidney recipient Matthew Burrows from Leyland Barracudas Masters SC and heart transplant recipient Rhys Bonnell from Gravesend and Northfleet SC. Matthew won 7 golds and set 6 new world records in the 40-49 year age group, while Rhys won 5 golds and a silver in the 15-17 year age group. Both swimmers were recognised for their exceptional performances with Matthew receiving the award for outstanding male athlete at the Games and Rhys winning the outstanding junior male athlete. Similarly dominant performances were displayed by Nicole MacKenzie from Portsmouth Northsea SC and Jodie Cox from Guildford City SC. Both ladies came away with a clean sweep of 7 gold medals setting 5 and 4 new world records respectively in the 18-29 and 30-39 age groups respectively. The GB & NI swimming team continued their supremacy in the relays, with the men’s and women’s teams holding off stiff opposition from the likes of Argentina, USA, Canada and Poland. Both squads won both the 4×50 freestyle and 4×50 medley relays with the men’s team setting two new world records. The women’s medley relay quartet, consisting of Alicia Armstrong, MacKenzie, Kelly Young and Cox smashed their own world record by over 3 seconds. To demonstrate the importance of living organ donation, the Games in Malaga were the first to see organ donors participating, taking part in a separate 50m freestyle event. Team GB & NI were successful once again, with Serena Tucker, Frankie O’Kane and Su Brimble taking gold, silver and bronze respectively – all three have in the past donated their organs to family or friends to give them a second chance of life. 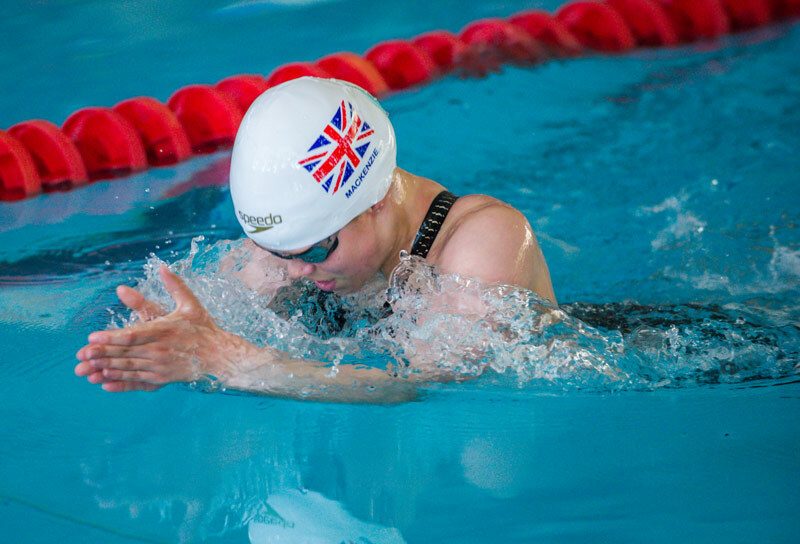 The team also included many swimmers making their debut at this level; Ellie Greenwood, Elspeth French, Ella Gibson, Pam Lane, Paul Meikle and Richard Percival all competed at the World Transplant Games for the first time and all came home from Malaga with multiple medals. 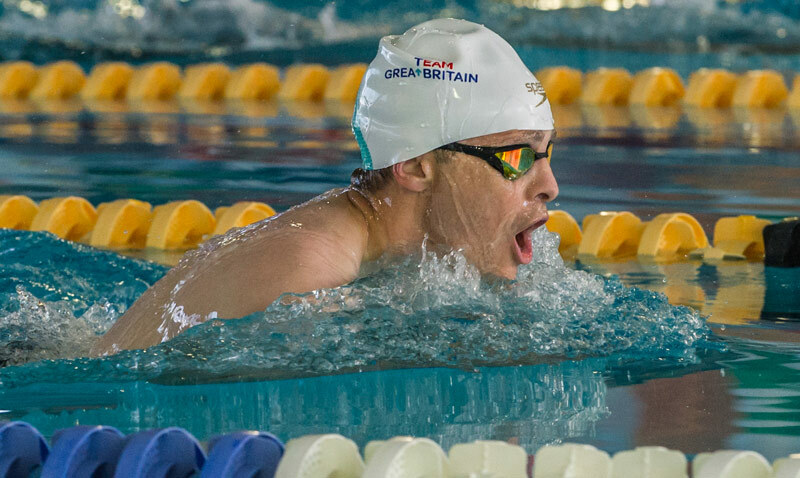 Men’s team captain, liver recipient and City of Cambridge swimmer Liam Barnett, who won 7 golds and set 4 new World Records said “Despite the team’s outstanding success and despite being affiliated to the International Olympic Committee, there is no central government funding for the transplant team GB & NI. All of our swimmers have had to raise money in order to get themselves to the Games, and in doing so, have done an amazing job in promoting organ donation. They should be very proud of themselves, all of them! However, we would be very happy if there is anyone out there looking to sponsor our great team”. Nicole Mackenzie won seven gold medals with 5 world records in Malaga. 70 year-old masters swimmer and heart transplant recipient Bill Noble, a former GB Olympic trialist who won 5 gold medals and set 3 new world records commented “Each year the level of competition gets better and better. But the transplant itself is just the beginning. We all have to take aggressive immunosuppressant medication, which means we often get quite sick, even from simple things like the common cold which in turn interrupts our training, so for some transplant athletes just getting to the Games is like winning a gold medal”. Kieran Heycock, Hamish Barrie, Catherine Whitworth and Karen Rockell were all swimmers who were unable to compete at the Games two years before in Argentina because of ill health. However, it was well worth the wait for all of them, taking home a handful of medals each. The other British medallists were Emma Redgate, Ellen Russ, Tracey Carroll, Su Tarling, Gill Ferguson, Debbie Chuddy, Lesley Forrest, Bridey Greenway, Allegra Martin, Declan Bennett, Mick Anson, Richard Adams, Simon Randerson and James Goodall. I’m lucky enough to train with Matt Burrows, he is an all round nice guy and deserves his success. He trained hard to get to where he is. Similarly with another one of our swimmers Pam Lane who also achieved great success out there. The club is extremely proud of them! !